The Irish Film Board is sponsoring a series of film screenings for the 2003 Special Olympic World Games which is part of the athletes' evening entertainment programme. Cinema Nights will provide athletes with a chance to come together and see a movie. The Cinema Nights films - 'Into the West' (starring Gabriel Byrne and Ellen Barkin), 'The Boy from Mercury' (starring Tom Courtenay and Hugh O'Connor) and feature-length animation 'Help, I'm a Fish' (featuring Alan Rickman) will be presented in front of an international delegation of competing athletes. 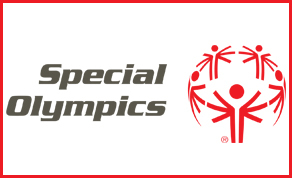 "The Irish Film Board is extremely proud to support the 2003 Special Olympics. We hope the athletes from around the world enjoy these Irish films and wish everybody the best of success in the Games", said Rod Stoneman, CEO of the Film Board. The hugely successful 'Into the West' written by Jim Sheridan and directed by Mike Newell will open the Cinema Nights series on Monday, 23 June. 'The Boy from Mercury', Martin Duffy's fantastical story of eight year old Harry Cronin who thinks he's an alien from the planet Mercury, will be screened on Wednesday, 25 June while the closing film of the series, the animated feature and international box-office hit 'Help I'm a Fish', co-produced by Dublin-based Terraglyph Productions will take place on Friday 27 June.